How can We Save Endangered Animals and Ourselves? 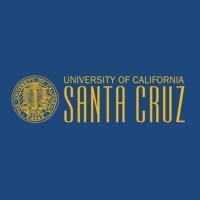 Your contributions will support the continued research of Dr. Terrie Williams and her team at the University of California, Santa Cruz as they partner with collaborators to win the race against extinction. Donations will help fund the required $250K/year for any particular wild animal project, supporting personnel, research facilities, fieldwork and expeditions, and facilitating technologies to identify species’ needs. Saving species is a team effort; partner with Dr. Williams’ team to save our animals and ultimately humankind. In a world that is preoccupied with the nano, micro, and mini, Dr. Williams’ lab explores the mega and macro biology of BIG. The animals her team studies are some of the largest and at times the fiercest on Earth: the elephants, bears, lions, seals, dolphins and whales. To examine them, Dr. Williams has created the only laboratory in the country with live marine animals on a university campus. The result is a unique learning and research center that provides a remarkable research environment and an unprecedented training ground for the next generation of wildlife conservationists. The studies are non-invasive and focus on the athletic capabilities and techniques used for measuring the fitness of human athletes, including assessment of caloric intake, metabolism, heart rate and cardiac health, and thermoregulation during rest and exercise. With this basic understanding, the team travels into the field to study the wild cohorts of these animals. Expeditions have taken her team above the Arctic Circle to study narwhals and polar bears, to Antarctica to study seals, to the savannas of Africa to work with lions and cheetahs, as well as to the tropics to help save the Hawaiian monk seal. After an analysis of governmental funding sources, Dr. Williams discovered that the larger the species, the lower the chances of federal funding. This has resulted in a public that is misinformed about the basic biological needs of most large, wild mammals and the environmental requirements they need to survive. This is a major hindrance to many conservation plans, and a contributing factor to the continuing destructive spiral of habitat degradation and climate change. Dr. Williams’ goal is to stabilize the support of endangered mammal science, and to broaden the impact of this science by increasing research and mentoring opportunities for enthusiastic investigators wanting to make a change in the world. Ultimately, by understanding the unique species-specific biology of big endangered animals, Dr. Williams hopes to create solutions that ensure their survival in the world today and into the future. Hawaiian Monk Seals: The most endangered marine mammals in U.S. waters, Hawaiian monk seals, are expected to go extinct in the next 50 years. With only 1100 of these seals left in the wild, little research regarding their basic biology has been done due to poor research funding for saving endangered mammals. Recently, these seals have been expanding their home ranges, going further out into the oceans to feed, but not finding enough food to sustain the calories they spend on swimming. The competition for survival is fierce with some members of the population now beginning to fight for resources. To solve this problem, Dr. Williams and her team are determining the diving capacities of the seals and developing habitat maps for survival. Importantly, this also involves living with humans and taking into account their needs. Thus, this project combines this research as well as building scientific infrastructures that will equip local Hawaiians with tools to understand and rescue their native seals. Oceanic Noise: Human generated noises have been linked to strandings by marine mammals, especially dolphins and whales worldwide. However, it has been difficult to determine how different species respond to noise to prevent these strandings. Dr. Williams’ lab has been a leader in the development of a miniature heart rate monitor “Fitbit” that can be deployed on wild dolphins, narwhals and Antarctic seals. With this technology, Dr. Williams and her team can evaluate heart stress of individual species in the presence of oceanic sounds. The team uses this information to predict if and how human activities are impacting marine mammals, and provide mitigation measures to help in species preservation -- both human and animal. Assessing Caloric Requirements: The species most vulnerable to rapid population declines are the large carnivores, including mountain lions in California, African lions in Kenya, wolves and polar bears in Alaska, and the aforementioned Hawaiian monk seal in the main Hawaiian Islands. This is due largely to their high caloric demands for living, and the resulting conflicts with humans as the animals hunt for food to survive. But how much do these large mammals eat? Williams and her team have developed a new, state-of-the-art wildlife collar that not only tracks where animals like mountain lions and polar bears go, but also allows the team to monitor their behavior and caloric demands even when they are out of sight. Ultimately, Dr. Williams hopes to be able to deploy these collars on large, wild mammals worldwide to identify prey availability and create critical habitat maps for these top-of-the-food-chain animals. Bears and Pandas: Much like the Hawaiian monk seals, bears and pandas, although prevalent in the news, have gone largely unnoticed scientifically in terms of their basic biology. This newest project at Dr. Williams’ lab will, in fact, for the first time determine the unique metabolic biology of this mammalian group including polar bears, brown bears, and pandas. Inspired by her previous polar bear research, this research has sparked the interest of a number of different bear communities; Dr. Williams is partnering with several zoological organizations to measure the basic caloric needs of panda bears as well as other bears that have never before been studied in depth. The goal is to determine “the bear necessities” for survival by these charismatic mammals. 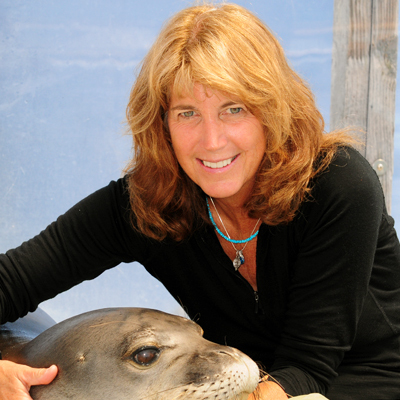 Growing up, Dr. Terrie Williams has always been fascinated by animals. There is nothing that gets her heart pumping faster than watching a cheetah sprint across the African bush, a killer whale leap into the air, or a panda bear shuffle along a bamboo forest. “This is the nature of Earth,” she remarks, “and it is breathtaking.” She was the little girl that begged for a kitten or a puppy on every birthday and holiday until her parents finally relented. But her parents agreed on one condition: she had to be responsible. Dr. Williams’ parents taught her that being responsible for an animal meant understanding how to care for it. In order to make this dream a reality, Dr. Williams researched and read every library book about cats and dogs. She learned how to feed them, how to medicate them if they were ill, how to keep them warm and safe, and how to protect them. She was a pint-sized veterinarian at age six. Over time, Dr. Williams realized that she had a unique talent: she knew how to “read” animals. Like people who can discern another person’s character after asking only a few questions, Dr. Williams could summarize an animal’s character by studying their body language. Therefore, she arrived at a career in research and science at a very early age, and this special talent has helped her view the world through the animals’ eyes throughout her scientific career. Unfortunately, with all of the habitat and environmental changes currently happening, the view is not always encouraging. By truly understanding what makes each animal unique, and by understanding their individual biological needs through science, she is providing a foundation of knowledge that will guarantee a chance of survival for every species -- including ourselves. Dr. Williams’ background is in environmental and exercise physiology. As a triathlete herself, she appreciates our animals that swim and run. In fact, much of the technology she has developed for measuring the heart rates of animals can inspire technologies used in human fitness, and vice versa. She has run many short races and participated in the Ironman Competition, and calls the core of her research “a race against extinction.” The same drive she needs to complete a triathlon race is exactly the kind of drive she puts into saving our species. To this day, Dr. Williams continues to run towards the finish line, pushing past any challenges and advancing forward.